A little culture and history goes a long way, so maybe this can be a perfect opportunity for you and your closest ones to go check out George Washington Masonic National Memorial. You are right, masonic stuff isn’t the area many people find interest in, but if you are among the curious ones, you’ll absolutely love this adventure! Sit in your yellow taxi close by and enjoy the road! Named a National Historic Landmark in 2015 by National Park Service, this spectacular memorial has definitely grabbed the attention of locals and visitors, respectively. Since 1974, Alexandria Yellow Cab has been a trusted partner of Alexandria residents and everyone who pops over for a visit. Both a memorial and museum as well as a community and performing arts center, a research library, an active Masonic temple, and cultural space, George Washington Masonic National Memorial is the perfect place to quench your culture thirst at and have fun in the process. Book a ride with Alexandria Yellow Cab to get to this spectacular nine-story neoclassical structure in a second and get back home safely when you so decide. Want to book an hourly basis? Sure! Looking to explore the area a bit? Point to point taxi transport or round trips may be perfect for that! AYC taxicab in the vicinity is the best option for every traveler who is looking to get comfort, easy booking, great prices, and cultured customer service – all in one. For those of you who weren’t sure – the Memorial is built as an expression of the high esteem for George Washington, and as a way to preserve the heritage of American Freemasonry. Although the idea for a Masonic memorial to George Washington goes back to 1852, there were no projects undertaken until 1909 (but you’ll hear more about it when you actually visit the Memorial). 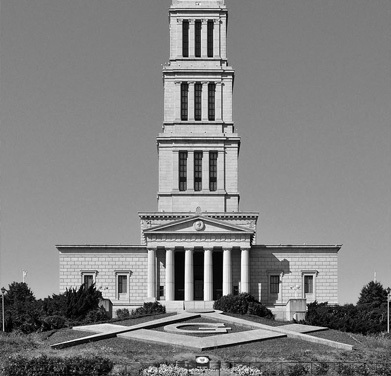 At this point, George Washington Masonic National Memorial is one of the most visited sites in Alexandria, and it’s high time you visited it, too! If you are planning to get to George Washington Masonic National Memorial this weekend (alone or with a group), you sure have better things to think about than transportation, right? On that note, trust Alexandria Yellow Cab to save you all the drab traffic jams, taken parking lots, long walks to and from your car and all other stuff in between. How to book a taxi near me? Give AYC a call at +1 703-549-2500 and let the adventures begin! You can contact us through the website as well, if more convenient. The best taxi service in Alexandria is here to make your days better! Ready to take your culture and history exploits to the next level? Good! A reliable yellow taxi nearby is all you need to make this an unforgettable experience. Plus, if you decide to take your trip anywhere in Northern Virginia – including but not limited to Alexandria, Eisenhower Valley, West End, and Cameron Station – you can do so with AYC, as well. What are George Washington Masonic National Memorial working hours? Every day, seven days a week from 9:00 a.m. to 5:00 p.m. Major holidays are restricted for a visit given that the Memorial is closed. Sit back, enjoy, discuss the gorgeousness of the Memorial knowing you are secured with a locals-approved cab company Alexandria.